I have been noticing how much YAMMER and PANIC there is in online communication lately. Everybody is spamming and broadcasting to everybody, trying to find work, trying to make a living, trying to participate. So what is the alternative? 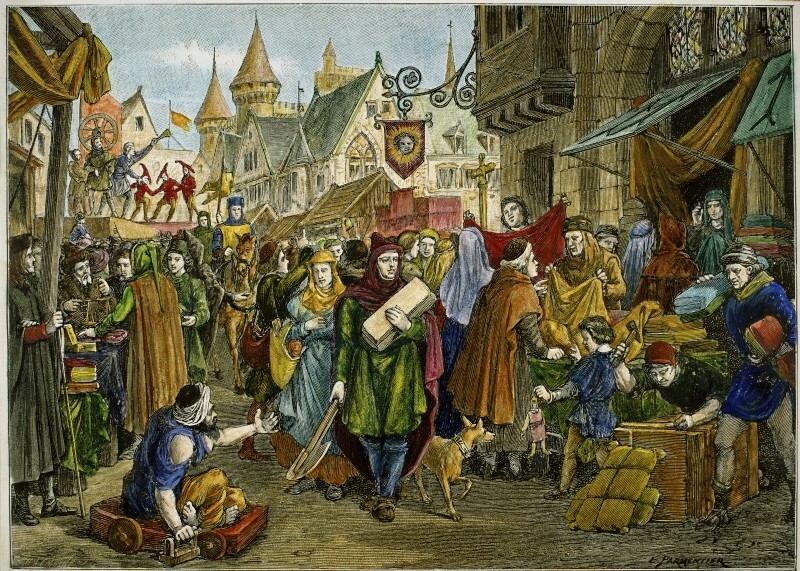 My sister tells the story of the medieval marketplace. Imagine you are there, say Venice. As you approach the market you can hear the great hum of human activity. It gets louder until, as you approach the gate, you can hear hundreds, possibly thousands, of voices crying out. Peddlers with their barrows line the road, the walls, and crowd the entrance. The noise is deafening. Everyone is shouting. At you! Everybody wants to sell you something. It’s utterly overwhelming. But you knew it would be. You came anyway. You push past the screaming traders at the gates. You came for 3 perfect apples. You can see apples in some of the barrows here at the gates, but you walk on. You feel sure the best apples are somewhere in the interior. You’d like to check, before you buy. Being completely new to this market you decide to sit down at the cafe in the centre and just get your bearings. You relax, recover from the jostling at the entrance, and just watch the world go by. You are looking out for people going by with excellent apples in their possession. Or a trustworthy-looking local. Or even the guy running the cafe might help. A few clues from people like these and you discover the best apple traders. There are only two. You compare their wares, their prices and how much you like either one—and then you buy your 3 apples. And know they really are the best in town. This is the way markets work. Have always worked. Online markets are just the same. The web is a massive online market. These days everyone is clammering to be at the gate (the top of Google search) and shouting over everyone else (their brilliant 60 second pitch, photo, animation, video, slogan, widespread social media campaign that blasts out 20 times a day). And they are surprised when they don’t have a queue lining up at their store. ULTIMATELY, it all comes down to content. And how valuable it is, comparatively speaking.